The kitchen cabinets that you buy will not come along with the hardware. So, you will get a plenty of options to choose your hardware from. There are various styles as well as finishes from which you can select the one which is the most suitable option. However, you will need some assistance to decide which one is going to be the best suited as per your home and requirements. So, this guide on choosing the right kitchen cabinets hardware will come handy during the selection process. If you are confused, take a look. Keep the Theme in Mind – The hardware that you are going to opt for your kitchen cabinet needs to be in sync with the theme of your home and the kitchen. If you want a contemporary and utterly modern kitchen, then you can opt for the hardware that had sleek and tubular pills. If you want a more detailed and traditional cabinet, then you can go for simple as well as smooth knobs. If you have a taste for the classics, then you can choose from the French antique styled collection and so on. Just make sure that it goes along with the theme of your house. It should not pop out of blues. Make Sure the Finishes Are Cohesive – The hardware that you choose can have different kinds of finishes. It can be of brass or nickel or anything in between. You can, of course, try to mix and match and experiment on the kitchen hardware but it is better, if you decide to stick with the same finish throughout the kitchen as that will ensure that the colors of the hardware are similar throughout the kitchen. So, there will be no odd transitions from one part to another. Knobs or Pulls – This is one of the most confusing questions that people tend to get in their minds. So, if you are going for a more traditional and country kind of look for your kitchen cabinets, then you can, of course, go for the knobs. They are critically acclaimed and widely considered to be a better option than the pulls. However, if you want a modernized kitchen, then the pills will work perfectly fine and look sleek and stylish. So, based on your theme and preferences, you need to pick out the correct one. What Is the Color That You Should Pick – The color of your kitchen cabinets is extremely crucial, as they determine how the end product is going to look like. It is a wise option to stick to white or other brown based colors, but if you want to give them a bright, colorful twist, then you need to be extra cautious to not to ruin the entire look of the kitchen. Make sure you think about the color accurately before you make up your mind. The safest option is to go for wood like finishes, as they are flexible and goes along with all kind of wall colors and themes. So, these were some of the tips which will help you choose the right hardware and make your dream kitchen cabinets. They are the most necessary thing in kitchen for the uninterrupted functioning and make sure you are investing well in it rather than just randomly selecting and agreeing to whatever that you see. With this guide, you will have no problem figuring out the exact finish as well as the look for your kitchen. 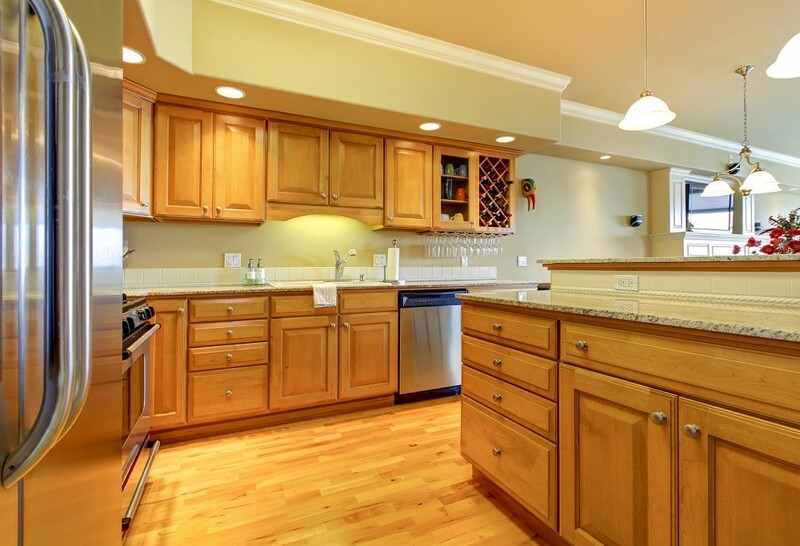 So, build the kitchen cabinets at the soonest and give your house a brand-new look.